H P TouchPads are the new talk of the town selling like hot cakes after the price drop but the damage is already done! The device, which launched on July 1, didn’t sell many units so HP pulled the plug on further TouchPad production last Thursday. According to some reports, HP had already ordered between 500,000 and 1 million units of the TouchPad for its first, and likely only order from its Taiwan-based contractor. iSuppli did a tear down and said the 16GB version cost $306.65 to build while the 32 GB version cost $328.65. HP got the full 1 million unit orders for the TouchPad it likely cost something around $317.7 million to build all of them. There is also speculation that HP has only sold about 50,000 of those unit orders in stores at the initial higher price which means that HP is stuck with $297.7 million in non-sold TouchPad units. The number doesn’t take into account other charges, including the huge marketing and promotion campaign for the TouchPad that included three TV spots with celebs like Lea Michelle and Russell Brand pushing the TouchPad in ads that ran nearly non-stop for the past few weeks, even after HP pulled the plug on the device. 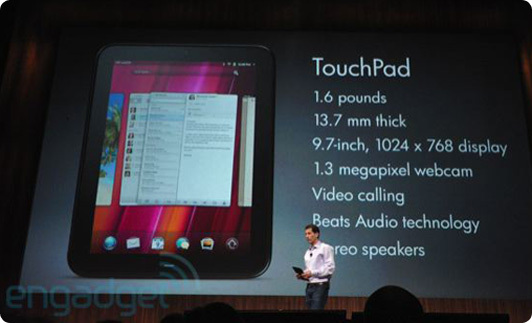 So finally looks like HP Touchpad is a failed success! HP TouchPad Price down to $400! Previous Cheaper 8GB iPhone 4 to be out soon! Next Facebook Working on Privacy Issues, or are they? Huge marketing and promotion campaign?